There is no doubt that 3D printing is going to become one of the key technologies to be used in the next generation of spacecrafts. Stratasys, one of the bigwigs in the 3D printing technology confirmed that it is partnering with Lockheed Martin Space and Phoenix Analysis & Design Technologies (PADT) to create next generation 3D printed parts for Orion – NASA’s deep-space spacecraft. 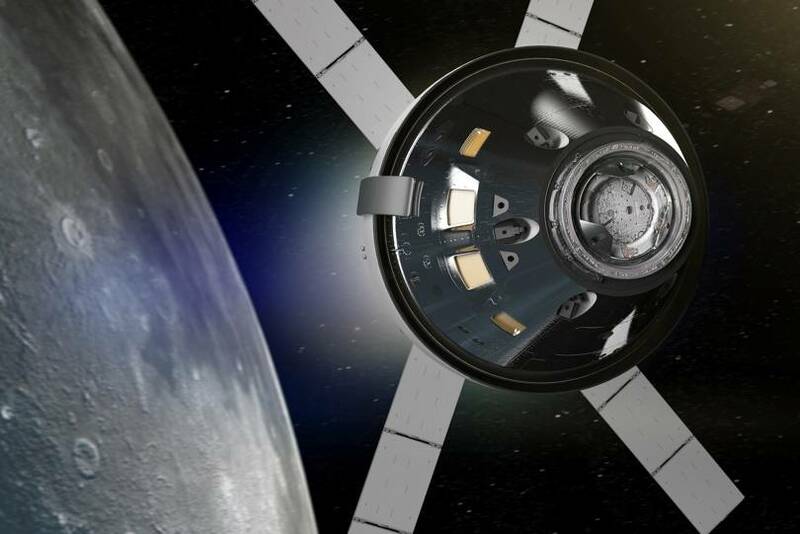 Orion is NASA’s spacecraft that will send astronauts to the Moon and thousand miles beyond the Moon during an approximately three week mission divided into parts – the Exploration Mission-1 (EM-1) and Exploration Mission-2 (EM-2). The overall mission will see the use of more than 100 3D printed production parts on board, engineered together by Lockheed Martin, Stratasys and PADT. The 3D printed parts used in NASA’s Orion spacecraft are mostly production-grade, thermoplastic produced at the Additive Manufacturing Lab at Lockheed Martin in conjunction with PADT, which employs Stratasys’ 3D printers and materials. The materials are 3D printed using Stratasys’ ULTEM 9085™ resin and a variation of the recently introduced Antero material with electro-static dissipative (ESD) functionality. Antero is superior to any other high-performance material available in the market. Its notable qualities like excellent chemical resistance, high heat resistance, and wear resistance are a step above all the current comparable materials and make it ideal to perform in the extremes of deep space. “The demands of space travel require extremely high performance materials and the most rigorous manufacturing processes in the industry. Part integrity and repeatability are essential and must pass NASA’s demanding testing and validation process,” said Scott Sevcik, Vice President of Manufacturing at Stratasys in an official release by Stratasys. “Based on decades of experience delivering strong and lightweight additive manufacturing solutions for leaders across the aerospace industry, Stratasys technology is ideally suited to match the high-reliability manufacturing processes required for production parts in space exploration,” Sevick added. The collaboration between Lockheed Martin, Stratasys and PADT is known for its ability to create consistency and repeatability in mass scale across the entire additive manufacturing part production process. 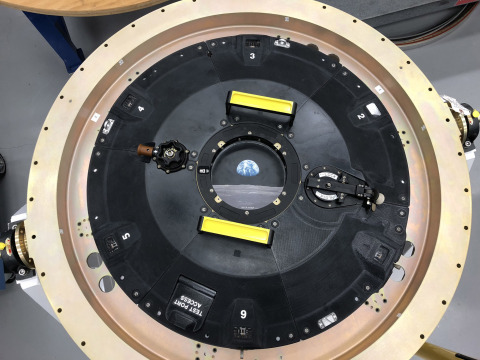 As one of the first customers of Stratasys, Lockheed Martin is also using Antero to build a critical part situated just outside of Orion’s docking hatch. The complex part consists of six individual 3D printed components combined together to form a ring on the craft’s exterior. This docking hatch is currently on display at the currently ongoing 34th Space Symposium in Colorado, USA where Lockheed Martin is an exhibitor. “Working with PADT, Stratasys, and NASA has enabled us to achieve highly consistent builds that move beyond the realm of prototyping and into production,” said Brian Kaplun, Manager of Additive Manufacturing at Lockheed Martin Space. “We’re not just creating parts, we’re reshaping our production strategy to make spacecraft more affordable and faster to produce,” concluded Kaplun.